Warren Bennis was a pioneer in Leadership studies, writing numerous influential books on the subject, including Leaders and Leading For a Lifetime. He was raised in New Jersey and he enlisted in the U.S. Army in 1943. During his time in the U.S. Army, he received the Purple Heart and Bronze Star. After his time in the military, he went on to attend Antioch College, receiving his B.A. in 1951. He continued his education at the London School of Economics before receiving his PhD from MIT in 1955. His focus was in Economics. He was a business professor at the University of Southern California. In 2007, BusinessWeek named him one of the top ten thought leaders in business. This entry was posted in The Classic Pamela Positive and tagged change, failure, goodness, growth, happiness, peace, positivity, reflection, success, Warren Bennis on April 3, 2019 by Pamela Hawley. The Classic Pamela Positive: How Close You Are To Success? That’s a shocking statement. How close you are to success…. How close are you? Connect with your true, heart-deep motivation. Instead of focusing on blocks, frustration or being tired, you can focus on why you are doing what you do. They Gave Up. They Didn’t Realize. They Were So Close! Success was just there….. all what Edison tells us. So what will you do today? Give up or cross over? Give up or stand up? Give up or ascend? Continue on your pathway, and firmly but gently, success will lead you. Thank you dear Thomas Edison, as we know you failed thousands of times. Yet your success still shines in our lives today. Edison was born in 1847 in the canal town of Milan, Ohio. In 1859 Edison began working on a local branch of the Grand Trunk Railroad, selling newspapers, magazines, and candy. At one point he also conducted chemical experiments in a baggage-car laboratory. In 1868 Edison became an independent inventor in Boston. Edison soon acquired a reputation as a first-rank inventor. In 1871, Edison married 16-year-old Mary Stilwell, whom he had met two months earlier. She was an employee at one of his shops. They had three children. Mary Edison died at age 29 in 1884, of unknown causes. While working on the telephone in the summer of 1877, Edison discovered a method of recording sound, and in the late fall he unveiled the phonograph. Finally, beginning in the fall of 1878, Edison devoted thirty months to developing a complete system of incandescent electric lighting. In 1886, at the age of thirty-nine, Edison married the 20-year-old Mina Miller. They also had three children together. Edison generally preferred spending time in the laboratory to being with his family. By the time of his death on October 18, 1931, Edison had received 1,093 U.S. patents, a total still untouched by any other inventor. Even more important, he created a model for modern industrial research. 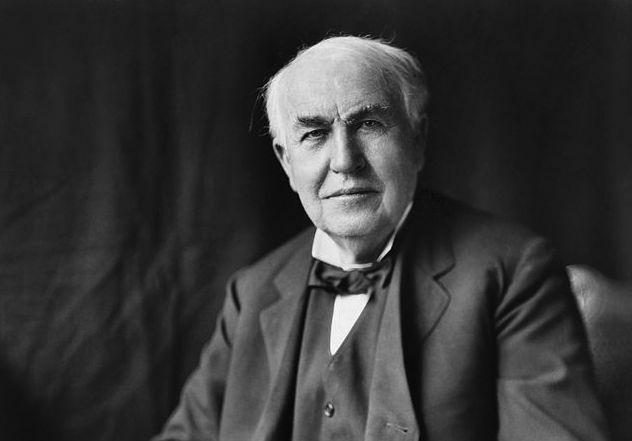 This entry was posted in Leadership & Business Tips, The Classic Pamela Positive and tagged business, Entrepreneurship, failure, growth, innovation, Leadership, motivation, perseverance, success, Thomas Edison on March 21, 2019 by Pamela Hawley. Live in that Glory. It’s an honor, a reverence for oneself and for others, to look up and over the offense. Let’s not stare at it, contemplate it, look down at it in dismay. Can you look forward rather than rehearse the past? It is a tough call, especially if we are hurt. But it’s a good principle at work and home. A beautiful standard to which we can aspire in life. Let’s move forward to what’s next: There is another Act opening soon. Look forward to it! Proverbs 19:11 is part of the Proverbs of Solomon, found in Proverbs 10-22:16. The specific section consists of two parts: the first contrasts the wise man and the fool (or the righteous and the wicked) and the second addresses wise and foolish speech. The Proverbs of Solomon and all other Proverbs raise questions of values, moral behavior, the meaning of life and right conduct. This entry was posted in The Classic Pamela Positive and tagged change, glory, goodness, growth, life, look forward, overcoming challenges, Proverbs 19:11, religion, success on February 24, 2019 by Pamela Hawley. This entry was posted in The Classic Pamela Positive and tagged business, communication, generosity, growth, John Maxwell, Leadership, Nonprofit, success, teamwork, tips on February 15, 2019 by Pamela Hawley. We can’t just deal with people from one viewpoint. We all have such important, varied qualities about us. And that’s changing moment by moment… and needs to be honored moment by moment. Who the person is holistically, when honored, brings the greatest benefit to your relationship, your environment, your work, your home. In addition, Zig was known as one of the most positive, joyful people. He wanted to celebrate people; celebrate them for who they are. And so he also celebrated life for who he is: A positive family man; a father and grandfather; a leader; a kind person; a doer of good; a prolific speaker; an engaging writer; and an encourager of others. That’s the holistic Zig Ziglar. Hilary Hinton “Zig” Ziglar was a motivational speaker, emphasizing Christian values and achieving success in all areas of life. He was born in Alabama in 1926, to a large family and he was the tenth of twelve children. His family lived there for a few years before moving to Mississippi. Zig dealt with tragedy early in his childhood– losing his father and little sister within the same week. He moved to South Carolina to take part in the Navy Training program at the University of South Carolina. Later, he would join forces to create a company that aimed to change America’s view of salesperson through seminars. This would begin his long and successful time as a speaker that traveled around the country. He was the author of nine books, including See You at the Top and Raising Positive Kids in a Negative World. In 2001, Ziglar was awarded the Cavett Award by The National Speakers Association for bringing honor to the profession and showing commitment to mentoring other members. He passed away November 2012, after his 40-year speaking career brought him to consult for Fortune 500 companies and leaders around the world. He was married to Jean Ziglar and they had four children and seven grandchildren. This entry was posted in The Classic Pamela Positive and tagged growth, humanity, motivation, positivity, relationships, spirituality, success, Values, work, Zig Ziglar on February 4, 2019 by Pamela Hawley. In the 1900s, Madam C.J. Walker made her mark for black women (and all women) by becoming the first African-American self-made millionaire in America. She had a problem herself; in setting out to solve it, she helped others. Madam Walker was losing some of her hair. So she created a hair product company which addressed this need, while helping women feel stronger, prouder, more beautiful. She was a millionaire within fifteen years. Yet it wasn’t just enhancing women’s beauty and self-esteem that made her unique. She employed thousands of women; she shone with brilliance by being a great CEO. And she left us with some inspiring mottos by which she lived her life. Go “start” whatever you would love to do. It can be small, it can be on the side, it can be modest. But begin today. You will know yourself more, giving of your “only-you” talents. You will also be providing opportunities and inspiration for others. In honor of Black History month, we honor Madam C.J. Walker. She was the first self-made American millionaire who was African-American or female. Her own hair loss inspired her to experiment with home remedies, and then sell them throughout the country. 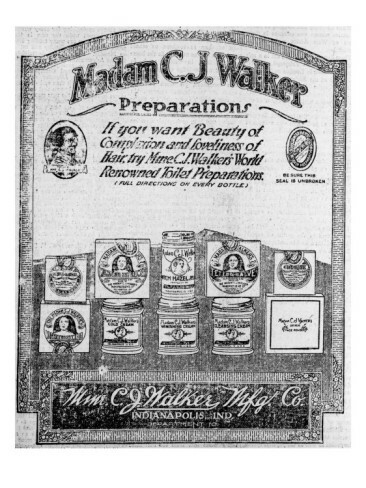 She began by selling Madam Walker’s Wonderful Hair Grower, a healing conditioner for scalps. She traveled door-to-door throughout the South and Southeast to sell her products. Her corporation employed as many as 3,000 people at one point. Madam Walker also founded Lelia College to train “hair culturists,” assisting other black women to start their own businesses. She was a Civil Rights activist and philanthropist. This entry was posted in The Classic Pamela Positive and tagged black history month, business, determination, Leadership, Madam C J Walker, motivation, opportunities, self growth, start, success, world change on February 1, 2019 by Pamela Hawley. That is our life purpose. To follow our calling in our own specially designed way. And so we will succeed, because the measurement is solely on how you uniquely pursue your talents, goals and qualities. Everyone has a different picture of success, his or her own beautiful expression. Henry David Thoreau (1817-1862) was an author, philosopher, poet, abolitionist, and naturalist. He grew up in Massachusetts and he went on to attend Harvard College. After college, he opened a grammar school with his brother in Concord, Massachusetts. During this time, he met Ralph Waldo Emerson who introduced him to other writers and encouraged him to publish his thoughts. He is the author of Walden, which is a philosophical argument for simple living and preservation of natural environment. He also had other important writings on natural history, environmentalism and civil disobedience. This entry was posted in The Classic Pamela Positive and tagged calling, failure, goal, goals, Henry David Thoreau, joy, Leadership, passion, purpose, success on January 25, 2019 by Pamela Hawley.